Season 27 News: New episode title! A new tile of an upcoming Season 27‘s episode has just appeared. The tile is “Lisa the Veterinarian” and it has the production code “VABF08″. The source of it is a picture posted on Instagram. Post: All About Season 27… at this point. 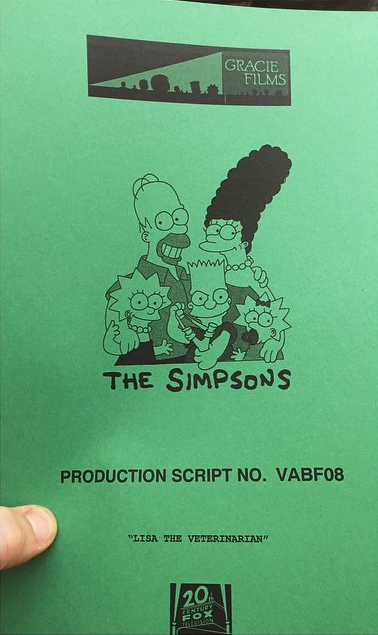 Post: S27 News: Sideshow Bob will finally kill Bart! Post: S27 News: Homer will vote in 2016! Post: Homer and Marge are NOT Breaking Up For Good!! !